Thinning hair isn’t something most of us think about all that often until it rears its ugly head on, well, our heads. From that point on, it’s going to be an uphill battle that often ends with a buzzer taking what’s left down to the scalp or searching for a treatment with proven results. 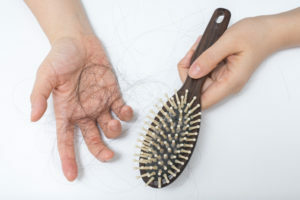 If personally removing the rest of your hair follicles isn’t an option, and we know women with thinning hair loathe to even think about this route, it’s time to consider alternatives. We’ll get to those options in a moment, but it may also be time to read up on Restore Hair reviews to educate yourself on a revolutionary way of re-growing hair with none of the downtime that recovery requires. Given that male pattern baldness is said to affect 95 percent of men and some 40 percent of women will experience thinning hair, the time is now to know your options. Those brave souls who’ve undergone hair transplants and have had their own healthy hair implanted on their scalp frequently complain about the surgical scars and how obvious it is that they had this graft treatment done. There are over-the-counter hair growth-stimulating shampoos and soaps available, but the catch-22 to this route is that hair loss typically continues once use of the product is discontinued. Laser therapy and the drug finasteride are two more options that are both Food and Drug Administration-proven and doctor-certified, respectively. However, there’s one more route and Restore Hair Reviews will show that it’s a proven way to stimulate hair growth and prevent further loss. Come visit one of our locations in the Chicago area today!